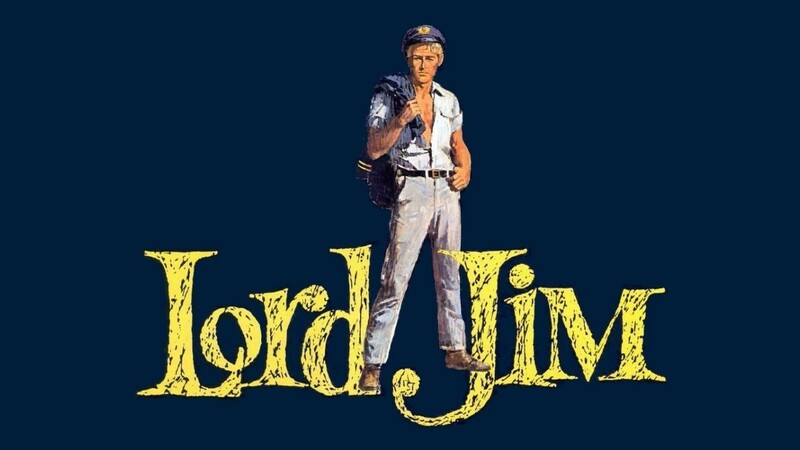 LORD JIM —- There is a lot to like in this eye-filling adventure, and that makes the films ‘close but no cigar’ all the more frustrating. Directed, written & produced by Richard Brooks, liberally taken Joseph Conrad’s book, the story concerns the soul-wracking wanderings of a British seaman in the Far East, circa 1900. 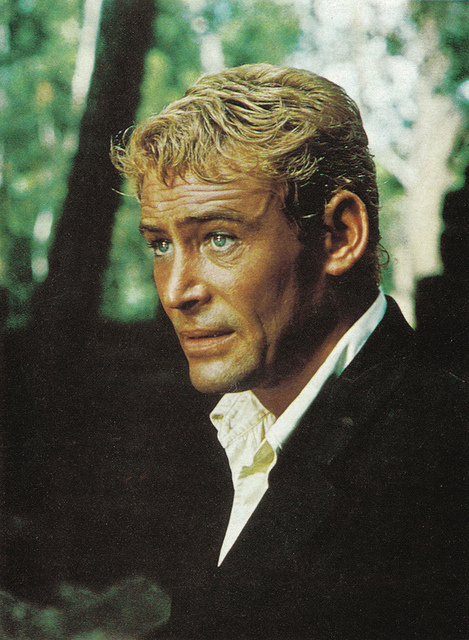 Jim (Peter O’Toole), due to cowardice during a storm at sea and subsequent public disgrace, plunges into a quest for heroic redemption: trying to save a remote Malay (‘Patusan’) village from ruthless scoundrels. Sounds great, and much of it is: producer Brooks soaks the film in atmosphere, lushly evoking the mysterious East with expensive ($10,000,000 LBJ bucks) location filming in Hong Kong, Malacca, Singapore and best—Cambodia, using wondrous Angkor Wat as a stand-in for Patusan. He rounded up a real rogues gallery of supporting players–talk about accents—just imagine James Mason, Eli Wallach, Curt Jurgens and Akim Tamiroff at their seediest and most degenerate, throw in the mellifluous Paul Lukas as a representative of decency and then top it off with that voice-among-voices, Jack Hawkins, intoning the narration (“he sought, at last, to become part of that nameless flotsam he’d so recently scorned“). Feast your eyes on the steaming, liquid beauty of Dahlia Lavi: the 22-year-old Israeli easily one of the more heart-stopping visions of the day. The films great poster art— of O’Toole in his tropic sailor togs— is alone enough to pull you in. Bronislau Kaper’s score complements and the lengthy action sequences are certainly proficient, if not exactly dynamic. Brooks’ scripting hits and misses. Some great dialogue (Mason has the best line: “You have a natural talent for disaster. Try and improve yourself into an ordinary failure by keeping your mouth shut.“), but there are a few too many sententious speeches, and the plot structure is lopsided. Even though the pace is languid at 154 minutes, going full-bore and making it three hours could have better fleshed out the allure the backwater holds for our hero. 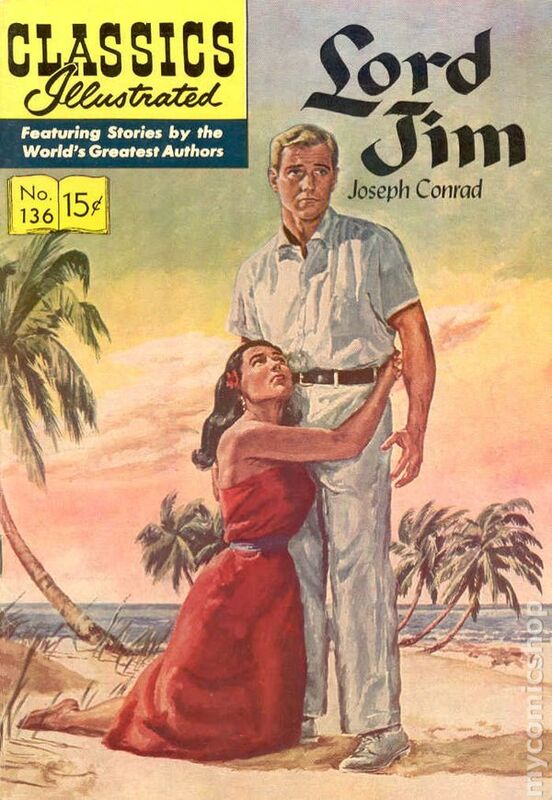 Instead, the second half lurches into action mode and stays there for the duration of the film, leaving much of the existential torment of ‘Tuan’ Jim up to us to fill in. The only help we’re given comes from the films biggest flaw, the miscasting of its protagonist. It’s one thing to have an intrinsically strong man tormented by doubts: it’s another to watch a guy suffer so masochistically that he practically bleeds through his pores. Peter floats through the film looking like he’s about to be flail-kicked. He suffers and suffers and virtually creaks with agony as he whispers his dialogue. C’mon. Burton would have been a better choice. In fairness to O’Toole, who I love, this was his most limpid work, and the actor himself spoke unsparingly of his err in taking the role and how he played it. His journal delightfully recounted the “hell” and “nightmare” of three months in Cambodia, where Prince Sihanouk and anti-western tension eventually ran the production out of the country. Freddie Young handled the lensing. Box office returns made it the 14th highest grosser of 1965, but they didn’t come close to matching the outlay. Reviews were generally negative and the combative Brooks took it on the chin. He’d obsessed over the project for years, buying the rights in 1957, and claimed to have read Conrad’s murky book fifty-two times. If you can put up with the whimperer conjured less from Conrad than from Brooks & O’Toole, then the venture’s other virtues make it well worth seeing. Then, go visit Angkor: simply one of the most staggeringly beautiful monuments in all the World.